de tonight, I decided to do the Top Five to compensate. The most refreshing thing about Terms and Conditions was the sheer fact that nobody died. Thus, allowing me to breathe again and have a heartbeat afterwards. Terms did have plenty of suspenseful moments that did knock the breath out of my lungs. But, there is only room for five, and here they are! As we already know, dissolving the City of Light capsule not only erases pain, but also erases your most simplest memories. When Raven realizes that she can no longer recall Finn, she flips and decides to fight against A.L.I.E. A.L.I.E, of course, does not know how to connect with this, as no one ever done it. So, what does this mean for Raven? Will she be the one to disconnect the A.I, and stop her from destroying the world (again)? Chancellor Pike is unscrupulous, calculated, and murderous. Kane can no longer deal with Pike, and takes matters into his own hands. With the assistance of Miller, Harper, and Sinclair, Kane really tries to take Pike down, with attempting to kidnap, and handing him over to the Grounders. Sigh, if only Pike done that in the beginning, as that would have solved a lot of problems. Unfortunately, all did not go to plan, and Kane is arrested for treason, attempted abduction, and homicide. Yet, these crimes subdued to us viewers as we know that Kane was trying to stop the inevitable of evil. I know that I have written numerously about Bellamy’s ‘breakage,’ but in Terms, he really seen the light. 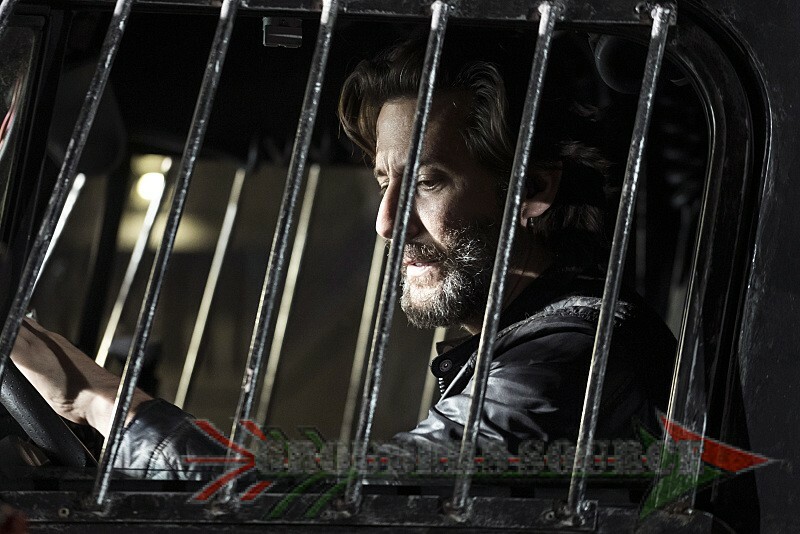 As his father figure has been handed the death sentence, Bellamy sheds tears. (By the way, this was Bobby actually crying as the scene was really emotionally raw.) Now that he knows that Pike’s practices are immoral, and ‘not for his people,’ Bellamy snaps out of his brainwash (phew!) and fully begins to redeem himself. Although, the writing of his character has been questionable this season, I can understand why it was taken to such a horizon. So, welcome back Bellamy! So, it finally happened. Kane and Sinclair, not to forget Lincoln, created a rebellion riot to distract the guards so that Kane can bring down Pike. However, it was also quite sad as Arkadia citizens were fighting against one another. The thing about this though is that Pike seemed to be completely oblivious to it, until after the fact. He was so absorbed with power and wanting to imprison those who cross him, that he was blind by the obvious. Yet, the upside to this is that Pike does not deserve the rightful position of chancellor, but we already knew that before. For all of his ‘righteous‘ crimes, and for trying to end Pike, Kane was given the death sentence. As for making life on the ground better, that seemed to fly out the window. I was quite upset by this, as Kane tried his damned best to put a stop to the madness. In addition, Kane has become one of the most interesting character transitions in the series, not to mention, a great mentor to Bellamy and the kids, and a key to Abby’s heart. Will Kane and the others be saved or sacrificed? Just thinking about this sends chills down my spine. That is it for this edition of The Top Five OMG Moments! In two weeks, I will reprieve the Top Five again with the new The 100 episode, Stealing Fire! Follow Grounders Source on Twitter, and like at Facebook.com/grounderssource.